- Absolutely ethereal! 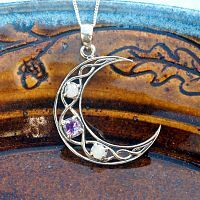 This crescent moon pendant looks as if it was woven out of moonbeams and magic. And it isn't just the twining paths of sterling silver that create this effect. 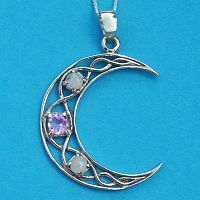 The crescent moon pendant is also set with a pair of shimmering rainbow moonstones, and a single shining amethyst. 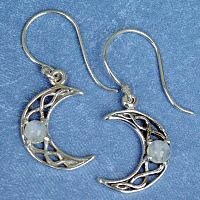 Together, these luminous gemstones capture the essence of the moon's silvery light. 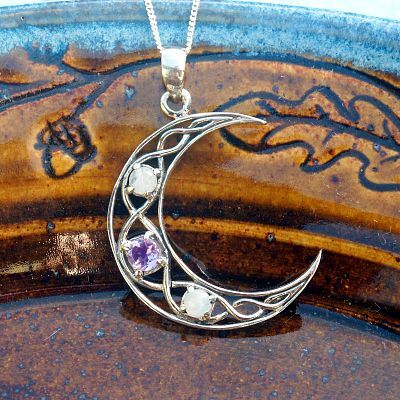 If you love moon jewelry, and the beauty of natural gemstones, this is a pendant you will treasure for years to come. The pendant measures approx. 1 3/4" tall, including the bail. It comes with an 18" sterling silver chain. 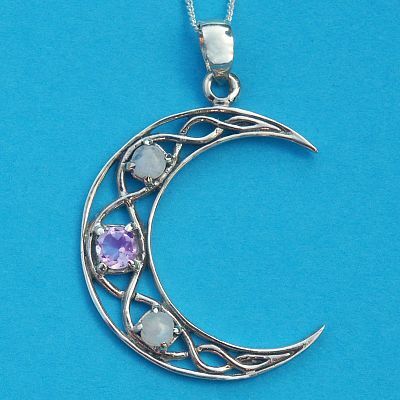 Do you have any other questions about our Silver Crystal Moon Pendant?